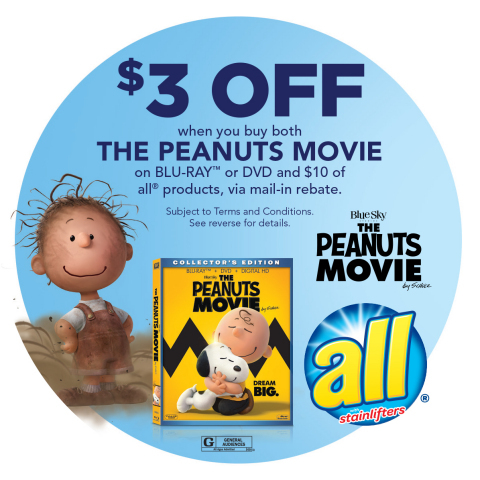 DVD and Digital HD, as well as a special Collector’s Edition BLU-RAY™. powers” of all®, running on national broadcast and cable networks. National newspaper insert advertisement running March 13.
on the $3 mail-in rebate. advertising and engaging social media activations. Inc. and 20% by members of the Charles M. Schulz family.